Can’t make it to the studio? Let the magic come to you. 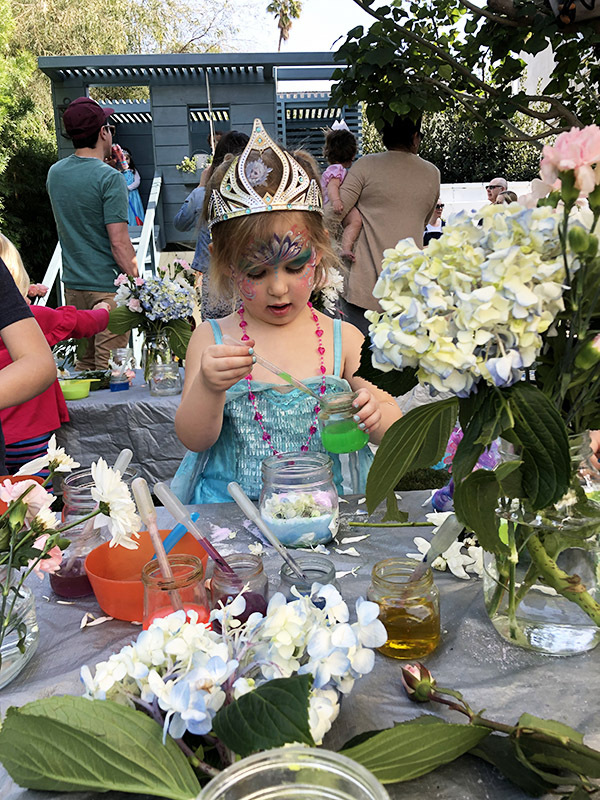 Our team travels all over the Los Angeles area creating art experiences for children of all ages. We can cater any event to be just the right process for you and your guests. See below for details and party options. NOTE: Host is responsible for all crafting tables, chairs, and tablecloths. A 10% gratuity fee will be added to all birthday parties. *Our art party favors include a stack of mini watercolor paper, a mini watercolor set, a roll of washi tape, and a painted “Thank You” label in a cellophane bag. 1. 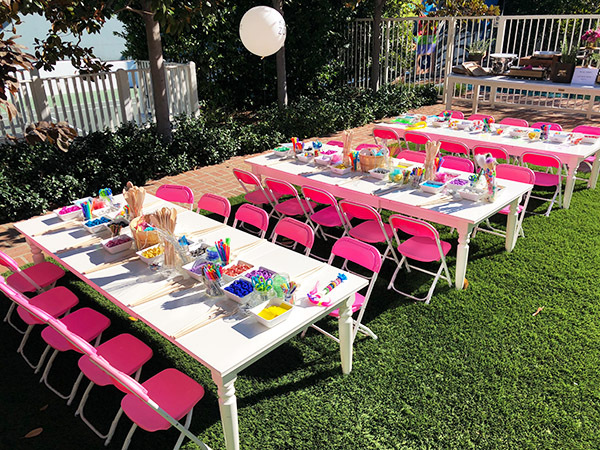 What is the maximum amount of children for a mobile party? We have no maximum for mobile parties. Our parties are listed for up to 15 children for all packages. $30 per additional child. No, not for mobile parties. We only supply the art and play experience. No, not for mobile parties. 4. How many staff members are at a mobile party? Our team is dependent on the amount of children attending each individual party. 5. Do you supply tables, table clothes and chairs? No, we only supply your art and play experience. Tables, chairs and table clothes are the responsibility of the host. 6. How many hours is a mobile party? Our mobile party packages start at 1 hour. Additional time can be added for an extra cost of $100 per half hour. 7. How early do you set up for mobile parties? Our team arrives 30 minutes to 1 hour prior to a party, depending on time needed. 9. How far will you travel? Our team travels all over the Los Angeles area. 10. Where do I find mobile party times and availability? Please fill out our mobile party form and we will get back to you within two business days. Thank you for your patience.